On October 19, 2009, Diane Weems, M.D., went in for her annual mammogram. When she walked into the mammography room she felt healthy and fine and had no reason for concern. When she walked out, she felt like her life had been turned upside down. The mammogram showed a highly suspicious mass. A biopsy was performed almost immediately and suspicions were confirmed. She had breast cancer. After a lumpectomy revealed that the cancer was larger than originally thought and spreading to the lymph nodes, Diane was told she had to undergo both chemotherapy and radiation. Hearing that, she said, was almost as hard as hearing the initial diagnosis. “When I went for my first chemo session, I looked around and realized that I’m in this club now. I’m part of this club I never wanted to be in,” she said. With surgery and treatments, the road to survivorship had begun for Diane, and thankfully, that road was paved with the support of family, friends, and co-workers. Her dear friend, Kathy, accompanied her to chemo treatments. Her husband, David, reassured her daily that they would make it through this process together, and her colleagues at the Chatham County Health Department offered empathy and understanding. During the course of treatment, Diane lost her hair and got “creative” with scarves. As the Chief Medical Officer for the Chatham County Health Department and Coastal Health District, her job often requires her to conduct on-camera media interviews. Initially, the idea of appearing on television with no hair was admittedly a little scary. But Diane decided that continuing to work was an opportunity for her to get an important message across. “I wanted to make a statement that you can get through this and continue to live an active life,” she said. 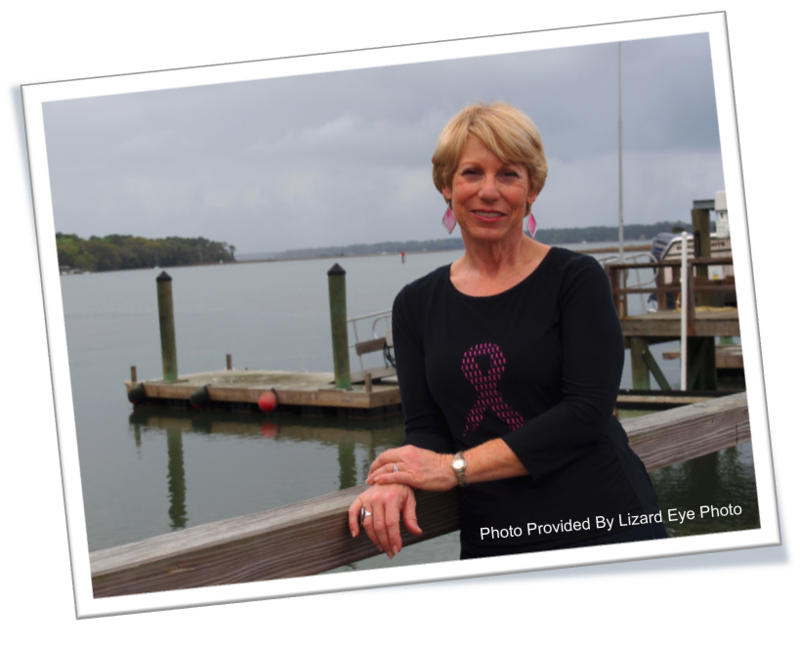 Five months into her chemotherapy, Diane signed up for the Susan G. Komen Savannah Race for the Cure. While she had always been a supporter of Susan G. Komen for the Cure initiatives, the Savannah Walk now had a special meaning for her. In October of this year, Diane will be able to add another bead to her own survivor necklace. And she will continue to support the Susan G. Komen for the Cure by leading a team in the 2012 Race and advocating for the organization’s mission to end breast cancer forever.